How To Prevent A Breakdown? With A Little Bit Of Preventative Maintenance! Regular inspections and maintenance will help to ensure that your door continues to function as well as it should long into the future. Your garage door is one of the largest and most complex electro-mechanical systems you will likely encounter in your home. It's also one of the most heavily used systems, meaning it needs to be well maintained throughout its life. Regular checkups are necessary to keep your door working optimally. Our expert team has been trained to properly inspect, note, and tackle any malfunctions, minor or otherwise. This service protects you from dealing with emergency repair bills later on, reduces unplanned daily disruptions, and other logistical problems. Depending on usage levels, our team can inspect and maintain your door on an annual basis. By following our preventative maintenance program, you can rest assured that your door should continue to operate reliably and you'll also save money by avoiding costly repairs in the future. Just give us a call to schedule an appointment! Our routine checks include tightening and replacing any worn or rusty nuts and bolts. We can also inspect all bearings, tracks, and cables to ensure that nothing is significantly worn – after all, a defective component can affect the performance of the entire door. Our team can also adjust the springs and apply proper lubrication to the cables, pulleys, and rollers as necessary. If it's been a while since you last booked your door in for a health check, now is the time. Don't wait for significant problems to pop up out of the blue and take you by surprise, give us a call and schedule a checkup with our experts at Garage Door Repair, Rancho Cordova. We look forward to hearing from you! How Should I Look After My Garage Door? 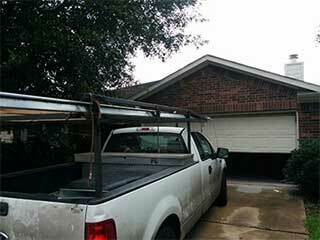 We're experts when it comes to repairing garage doors. Our technicians have over years of experience servicing automatic door systems of all kinds. There's no part of your that we can't help you with, from the electrical components in your opener to your torsion springs. We can also help you ensure your door lives for longer through our regular maintenance services, designed to increase the lifespan of your door. Our technician will contact you before arriving. Until then, feel free to browse our website! Garage Door Repair Rancho Cordova is at your service!